We will try to figure out a per/Baltan cost sometime before summer. We will need to collect full payment early in August, as we must pay the balance 30 days in advance. **Please bear in mind that the above mileage / travel time info is courtesy of mapquest, so you can figure in an error factor of (+ or -) 100%. For some unknown reason, after 35 years, I punched Bad Aibling into Google this evening and have spent nearly the last two hours reading the blog and trying to put names to faces that aren’t quite the same as they were 35+ years ago. What a trip down memory lane!! It looks as though there’s talk of a reunion on Sept 24-30. Are those dates solid and where will it be held? I’d love to get there if possible. Since I’ve just spent the better part of an hour trying to put names to faces, perhaps you could put the attached photo on the blog and see if anyone can put a name to it. We were in BA from 1968 to 1971. 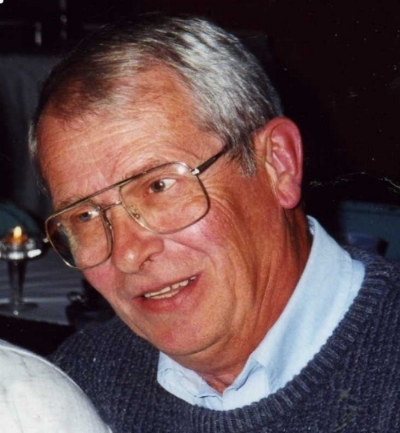 I was married to Gayle at the time and we spent a lot of time with Mike Rogers, Bob Hamlin, Mike Gleason, Bill Maus, Steve Trask, Don & Mary Pier, Terry & Judy Lester, Jerry Thompson, Ed Hoben, and others. I was an analyst there and I’m the guy who took over the sports car rallys after Terry Lester left if you were ever involved with those. Gayle and I were divorced many years ago and she passed away from breast cancer ten years ago. Two months ago I was spending a weekend our daughter and her family, and she brought out a large envelope and asked “Dad do you know any of these guys?” Apparently Gayle had saved them, and inside were about two dozen large 11×15 photos of a lot of the people from back then – Hog, Mad Dog, Gleason, Steve Crosby, Bob Hamlin, Don & Mary, Ed Hoben, and a bunch of others. What a trip down memory lane that was. Then I came across your blog last night. The only people I’ve seen since getting back to the states were Terry & Judy Lester back in 1972 or 1973, so making it to the reunion would be a lot of fun. Feel free to post any, or all, of this on the blog. I’m incensed about the Walter Reed story, and I wondered if you had seen it. In case not, here’s the original that appeared in the Washington Post on February 18. Hooray for intrepid reporters who go after the truth. Slight adjustment. Hanni Beer asked that I post only her name and email address. Since I emailed that I had a post about her on the blog, this explains its absence. She would love to hear from any of you, so please feel free to email her. Many of you know that I’ve been visiting my Mom and brother in Indiana for the past two weeks. My brother, Mike, died while I was there. I thank you all so much for your email support, cards and calls. 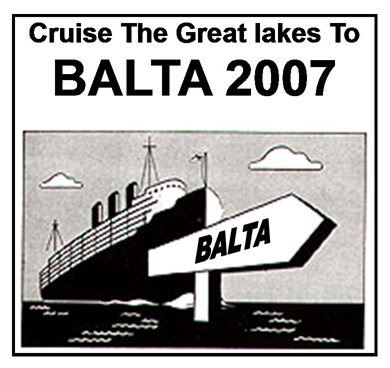 Maddog and I have been checking out potential options for travel to BALTA ’07 – something a little different – when I ran across this ad for an on-line cruise company – might have been Sipper’s but I didn’t save it and can’t find it again………anyway, thought you might be interested.